HONG KONG—Defending champions Craigengower Cricket Club (CCC) won their top-of-the-table clash with leader Hong Kong Football Club (HKFC) and cut the gap to 13 points. This lead will be reduced further should CCC win their unfinished game against the HKFC B team on Sept 30, 2017. HKFC-A, who won all their first half games at home, had lost two of the four away games played in the second half before last weekend’s match. They faced a strong CCC team determined to retain their first top-flight title in 22 years. Because of a spontaneous shower in the morning, the match was played on a CCC green that was heavier than normal. It started evenly and stayed that way throughout. CCC skipper Kevin Fung needed to withhold pressures from opponent Heron Lau in the last end to hold onto his tight victory of 20:19. Stanley Lai also needed to score four shots in the last end to win it 20:15. Lee Ka Ho did not have much problem with his opponent and cruised to a comfortable 20:9 victory. After the game CCC are still lying third and 13 points behind the leader. They will narrow this gap should they win an unfinished match against HKFC-B, a game started on September 9 but was abandoned in the middle because of heavy rainstorm. All three CCC rinks were leading when the game stopped so it is highly possible that they can collect all eight points. Kowloon Cricket Club (KCC) who lost 6-2 at Tuen Mun are second. They are now 12 points behind the leaders. At the bottom, Club de Recreio (CdeR) continued their surge with their first back-to-back win of the season, this time against the Youth team. 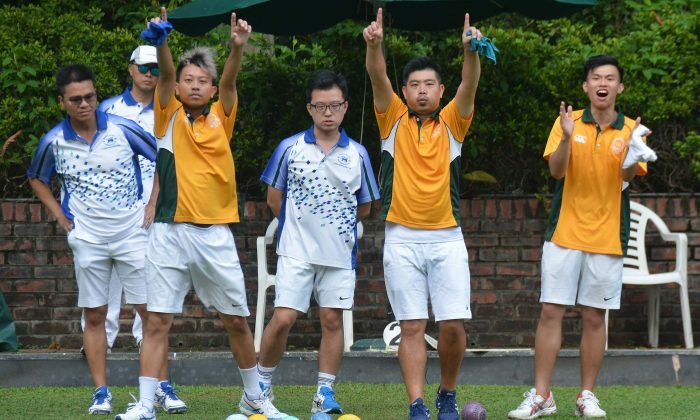 Now they are five points clear of the relegation zone, which includes the Police and Kowloon Bowling Green Club B.
CdeR will play the leader at home this weekend and the result may have a big impact at both end of the table. This coming Saturday will also be crucial to CCC’s championship journey as they will play second-placed KCC at home in the afternoon and then travel across Sports Road to play their unfinished game with HKFC-B in the evening. 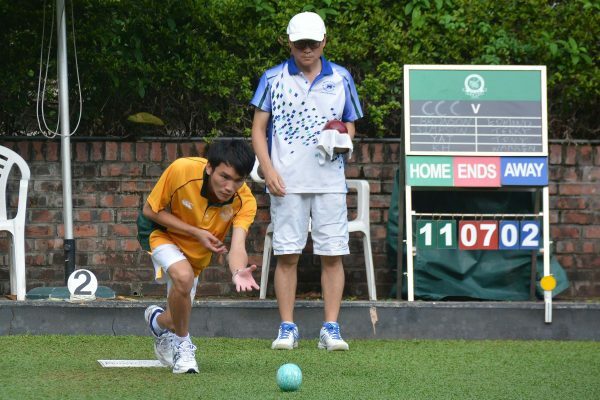 In the women section, Island Lawn Bowls Club (ILBC) dropped out of the top spot for the first time this season, after nine-time champion Hong Kong Football Club played their game against Kowloon Cricket Club in advance last Friday, Sept 22. HKFC defeated KCC 6-2 and followed with another 7-1 win against the defending champions Shatin Sports Association (STSA) at home at the weekend. Despite ILBC maintaining their 100% home record by defeating CdeR 6-2, they are now three points behind the new leader HKFC but have a game in hand. CdeR remain at the bottom after their defeat and are joined in the relegation zone by United Services Recreation Club, who lost 2-6 to mid-table CCC. The Premier Division continues this Saturday Sept 30, and on Sunday, Oct 1 the IRC Triples is scheduled to be played from 9am to 6pm at the Indian Recreation Club.